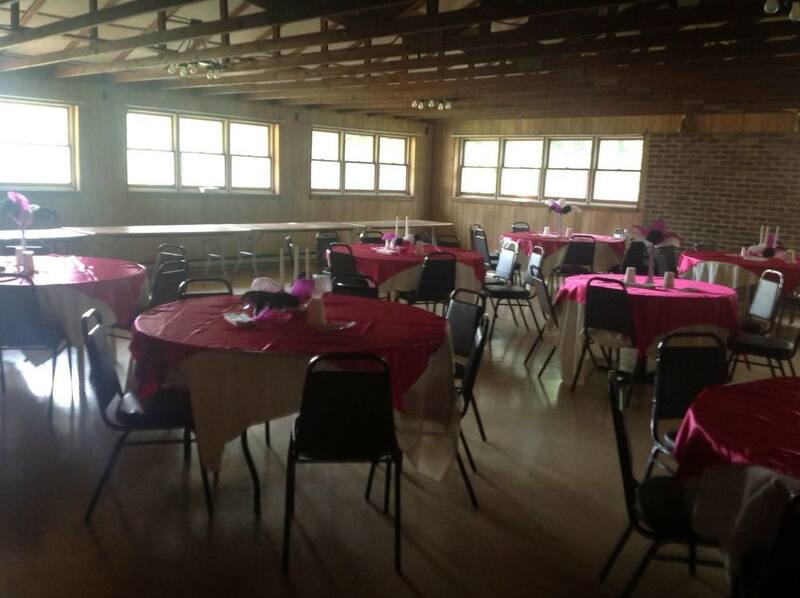 Set up in this photo for a reception, with a dance hall and central table. 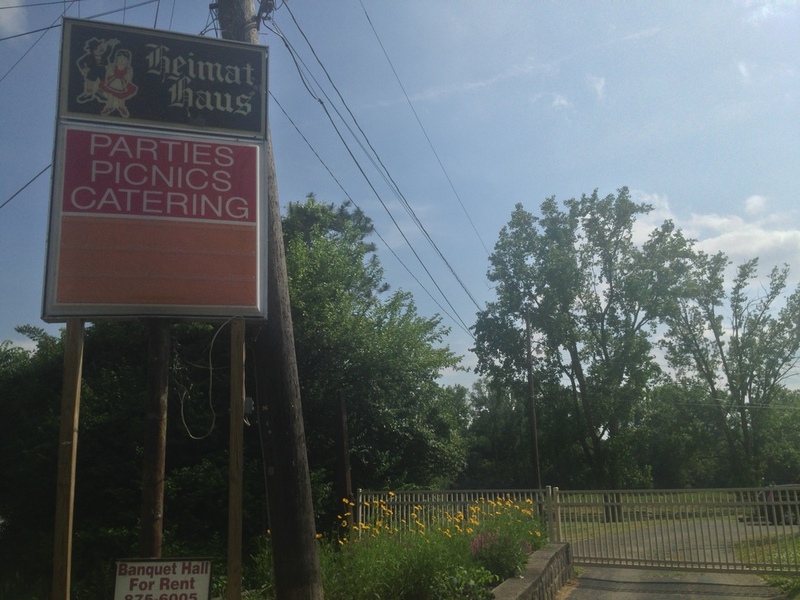 The Heimat Haus also offers a large indoor event area. 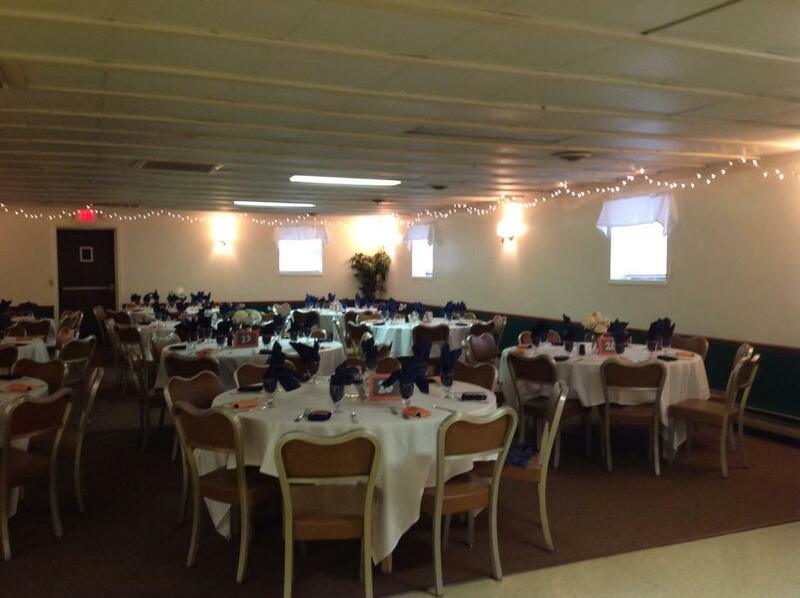 There are 3 rooms in total, the two smaller rooms can be combined to form one large room. The entire party house, all 3 rooms, can also be combined into a huge, connected L-shaped room.